Madhya Pradesh Chief Minister Shivraj Singh Chouhan had imposed a curfew in Mandsaur district on Tuesday as a precaution after five farmers were shot dead by the state police in the ongoing protests. In many districts, the internet was also shut down. The CM’s move intensified the agitation in the state, with protesters in Mandsaur and the adjoining district of Neemuch defying the curfew and indulging in arson and violence on Wednesday, as reported by The Indian Express. Farmers in MP have been protesting since June 1, demanding loan waiver and fair price, among others. 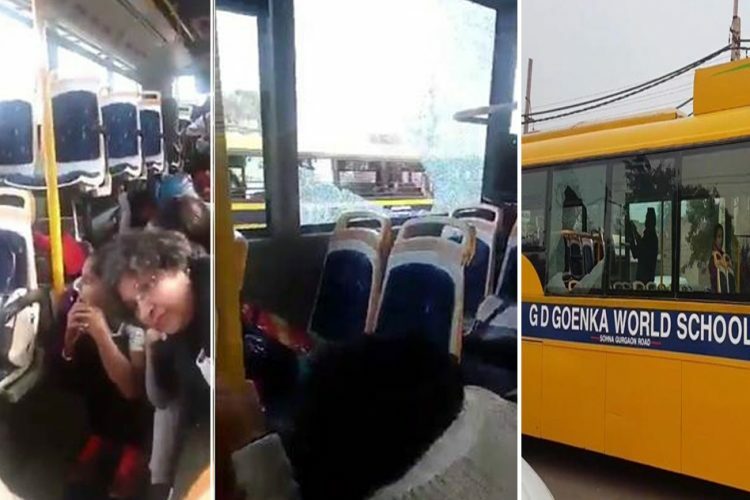 The violence also spread to other districts, with protesters torching vehicles, blocking roads and rail traffic in Dewas, Ujjain, Sehore and Barwani. In an attempt to calm matters, CM Chouhan had increased the compensation from Rs 10 lakh to Rs 1 crore to the next of kin of each dead. He also held a meeting of his Krish Cabinet on Wednesday and announced more sops for the farmers, including a loan settlement of Rs 6000-crore to waive of interests of defaulters. He reiterated his decision to set up a Rs 1000-crore price stabilisation fund and said that tur, urad and moong would be purchased from the farmers between June 10 and June 30. The state government had earlier denied responsibility for the death of the five farmers. However, Madhya Pradesh Home Minister Bhupendra Singh on Thursday for the first time admitted that farmers who were killed in Mandsaur died due to police firing. “Death of the five farmers was due to police firing. It has been established in probe. I have said earlier that the farmers may have died in police firing. I have conceded this earlier, various channels have also ran it,” Singh said. Taking this as the epicentre of the protests, nearly two dozen vehicles were set on fire on the stretch between Mandsaur and Pipalia Mandi over the last 24 hours. Protesters are demanding an immediate action against the police personnel involved in the shooting. 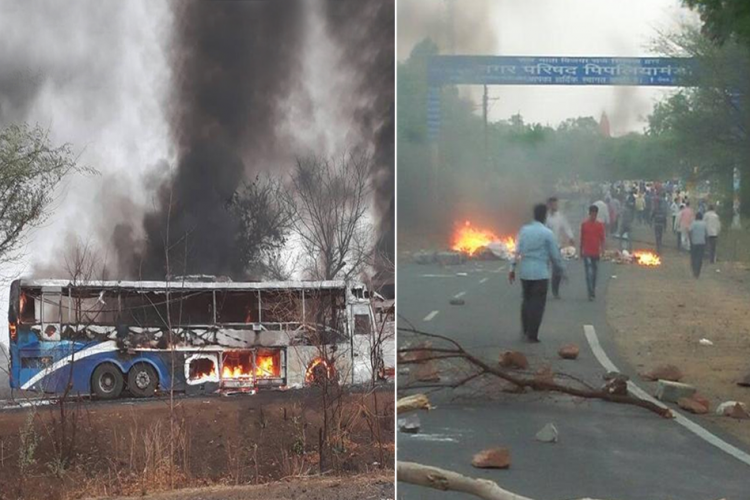 Hindustan Times reports that the number of transport vehicles has reduced on the Bhopal-Indore highway after the violence in Dewas on Wednesday. A toll plaza was vandalised in Mandsaur with Rs 8-10 lakh looted. 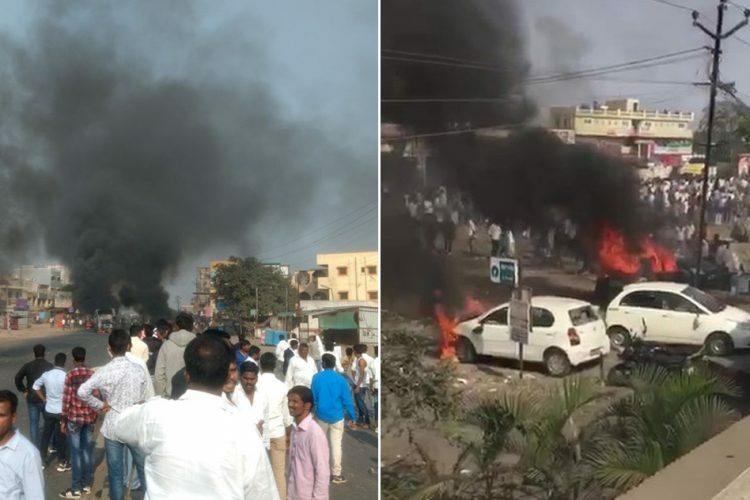 Apart from Mandsaur, tensions in Dewas has also increased. The farmers have torched at least two police stations, damaged more than two dozen vehicles and ransacked shops. While the CM is unlikely to visit Mandsaur till the situation calms, Rahul Gandhi visited the area today. 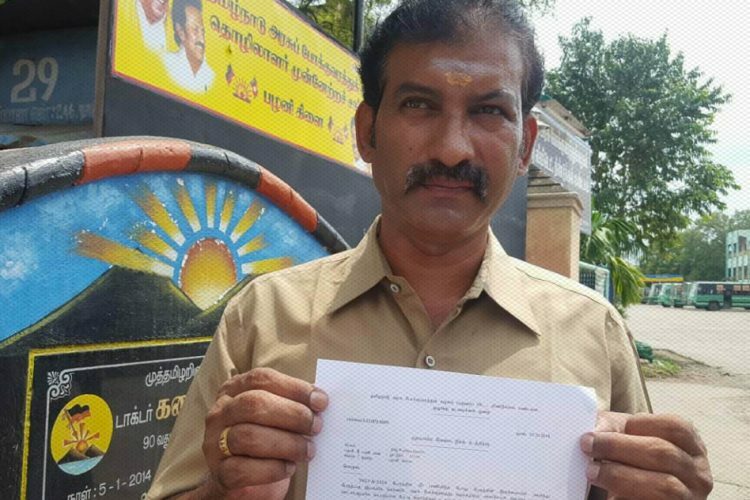 Local administration in the BJP-ruled state had said that they won’t let him enter, even though Congress leaders remained adamant to hold a meeting between Rahul Gandhi and the protesting farmers. Prohibitory orders had been issued under section 144 of CrPC (which empowers a district magistrate to prohibit an assembly of more than four people in an area) in Neemuch ahead of Rahul Gandhi’s visit. 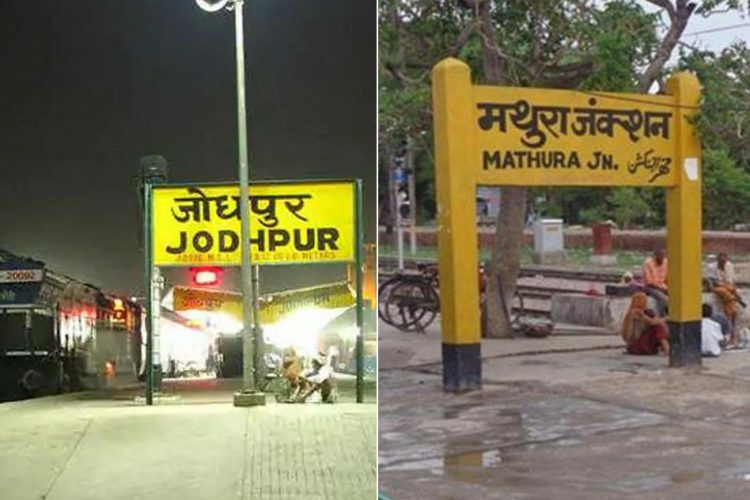 CM Chouhan’s administration was in full preparation to stop him at the Rajasthan-Madhya Pradesh border. A heavy police force and CRPF personnel were deployed in Neemuch and two layers of barricades had been installed on the main road. More than 1,000 police personnel and paramilitary forces jawans were stationed at Nayagaon, Neemuch to prevent Rahul Gandhi’s entry. To intercept him, more than 11,000 rapid action force personnel were deployed across the state and the police sealed all borders to Mandsaur. About 10 minutes after his arrival, the Congress leader was detained at Mandsaur border and put on a bus to an unknown location, reports Hindustan Times . “I wanted to meet the farmers. I have been arrested but not given any reason,” Gandhi tweeted. Police officials say that 62 people have been detained in connection with farmers’ protest in Mandsaur. 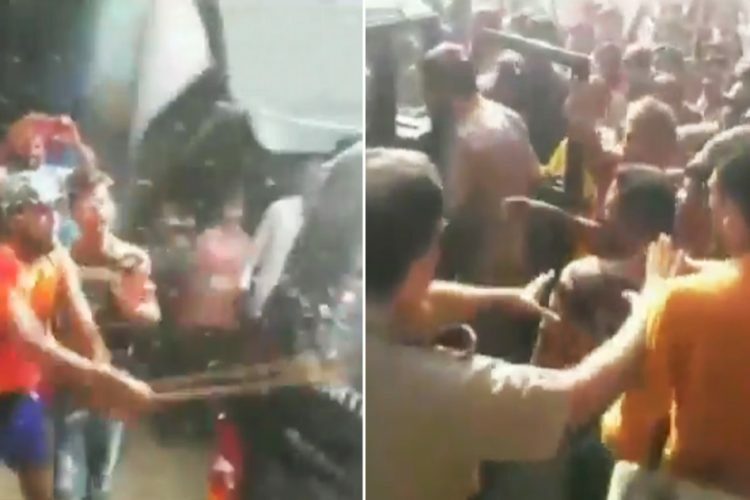 As the farmers believed that their plight was ignored by the Madhya Pradesh government, they took to the streets to throw vegetables and empty milk tankers on the ground as a sign of protest. 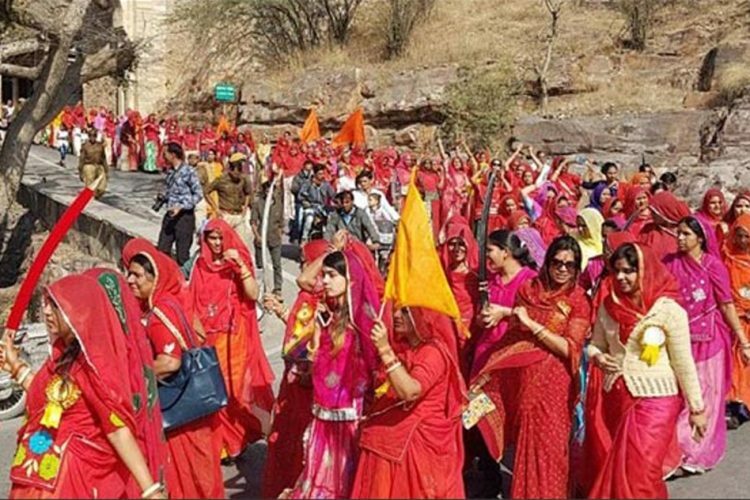 The scale of the agitation kept escalating as they attempted to get media attention in newer ways in order to pressurise the government to give in to their demands. When the protest turned violent – torching of public property, vandalising shops – four farmers were killed in police firing. This further took a toll on the situation at Mandsaur as the state government initially denied to take responsibility for the deaths and blamed them on ‘anti-social’ elements. The government is now trying every tactic in the book – offering waivers, compensation and support fund. However, it seems that the crisis will take days to calm down. The heavy police force stationed at Madhya Pradesh border to intercept Rahul Gandhi’s visit shows the way political parties are treating the farmer protests – a war for power. The entire protests have turned into a political game with a deviation from the fact that the farmers are suffering due to the massive violence and the government’s inability to prevent further agitation. The Madhya Pradesh economy is also hampered as large amounts of produce are being thrown on the road, food trucks are being intercepted and shops are closed. Prices of fruits and vegetables have increased as the markets are unable to align supply with demand. This is not the first time that farmers in India are appealing for loan waivers and fair prices. What started with the Tamil Nadu farmers’ naked protests and skull marches has led to a situation where the state governments are offering solutions only when the situation has gone out of hand. As Madhya Pradesh remains one of the top crop-producing states in the country, it is crucial that the CM Chouhan administration takes speedy measures to calm the protesting farmers. This is BJP’s third term in Madhya Pradesh and only time will tell if there will be a fourth.